“One day it’s in and the next day it’s out” – a popular phrase that often resounds when the fashion & apparel industry comes to mind. To relate this to our day to day life, each one of us has more clothes today than we had 10 years ago. No wonder, the same scenario will repeat after 5 years or even sooner. High degree of uncertainty in demand surrounds the fashion and apparel industry that affects the fashion supply chain. With globalization and several new entrants along with competition, brands in the fashion and apparel industry are being forced to listen to their customer. It is more important than ever to recognize what chimes with the consumer and quickly respond by satisfying the needs without any delays within the fashion supply chain. Additionally, every geographic location differs in spending patterns, styles, per capita income etc. and all the clothing lines need to accurately evaluate the demand that will exist in every market and serve the customers well on time. With ever-changing trends that lead to change in consumer demands, it is even harder to predict the market and hence forecast the required raw materials and supplies at the right time. Unpredictability slows down the movement of materials and thus the production lines. Anything that stops or slows the movement of materials and apparel products or even the forecasting process, is considered a supply chain problem. It might be a problem with stocking for raw materials, or even increasing tariffs in countries where your factories, warehouse, and suppliers reside. These supply chain challenges can have a major impact on your company’s profits and can make your day-to-day business processes unpredictable. The fashion industry is a massive sector that is predicted to grow in the upcoming years. According to the World Economic Forum, the industry generates up to $2.5 trillion in annual revenue, a staggering number that actually is projected to double in the next 10 years. With such incredibly rapid growth expected for the industry, it is important that its main players understand the challenges in supply chain and stay competitive in this market. One of the solutions to these problems is having visibility and transparency in the fashion supply chain. Supply chain visibility can help companies react sensibly to unplanned events, ensures the continuous supply of needed parts, and avoids unwittingly supporting practices in the supply chain that violate the company’s principles. 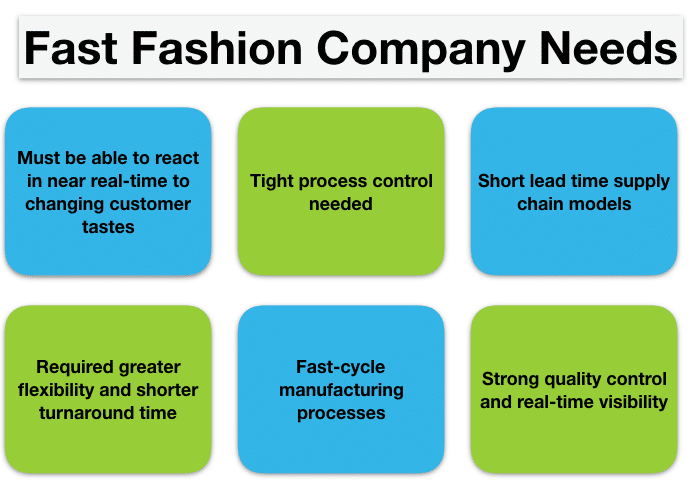 Supply chain visibility becomes even more important for fast fashion manufacturers as they strive for “fashion on demand” and geared for speed-to-market. The complexity of Fashion Industry: Fashion supply chain are typically long and very complex. The vast majority of today’s fashion brands do not own their manufacturing facilities. Some brands may work with thousands of factories at any given time. These include the facilities that cut, sew and assemble the garments, but there are also further facilities down the chain that dye, weave and finish materials or even the farms that grow fibers. These factories may operate at different parts of the world making garments move across country boundaries quite often. Moreover, after the product is ready, a brand might place an order with one supplier, who carves up the order and subcontracts the work to other factories. This happens regularly across the industry and presents a great challenge leading to periodic overseas manufacturing delays. For e.g Apparel stores in North America and Europe are increasingly depending on Asian manufacturers to produce their clothing and accessories. For instance, 97% of the clothing sold in the USA is made in another country. Moreover, almost 30% of all garments produced in the world are exported by developing nations. Hence, there is a large cost involved in transporting materials and finished goods. If the costs are added up with delays in receiving the products from one supplier, clients might receive products with great delays negatively affecting the customer experience. This will result in negative reputation, decreased brand loyalty, customer losses and financial cut downs. Long delays can also negatively impact the business during festive seasons. For e.g. if Christmas sweaters or Halloween costumes arrive only a few weeks too late, there is no market for them anymore, they either need to be sold at heavily discounted prices or stored in warehouses for the upcoming season which also negatively affects cost and inventory management. Lost or Damaged Shipments: Shipping damage and lost shipments combine to create ongoing headaches for fashion companies that outsource their manufacturing products on a regular basis. There is a need of high level of security to keep a track of high-value items in transit. Logistics providers have to give careful consideration to this aspect in every step of the supply chain. In the warehouse, there are numerous ways to prevent thefts, losses and damages for e.g. by video surveillance, protective cages, access control for operators etc. However, at the stage of transportation and delivery of goods, real-time monitoring becomes very important to ensure no products are getting lost or damaged or become subject to theft. On-time Delivery: Meeting the needs of the “fashion on demand” shopping era will involve making some major changes to current business models of fashion and apparel industries – namely, to the supply chain. This is because the difference between the success and failure of fashion trends depends on how fast a retailer can go from the concept to store shelves. To lower the risk of a fashion or trend miss, most of the fashion retailers and apparel companies are pressurizing their suppliers to have a faster speed to market. 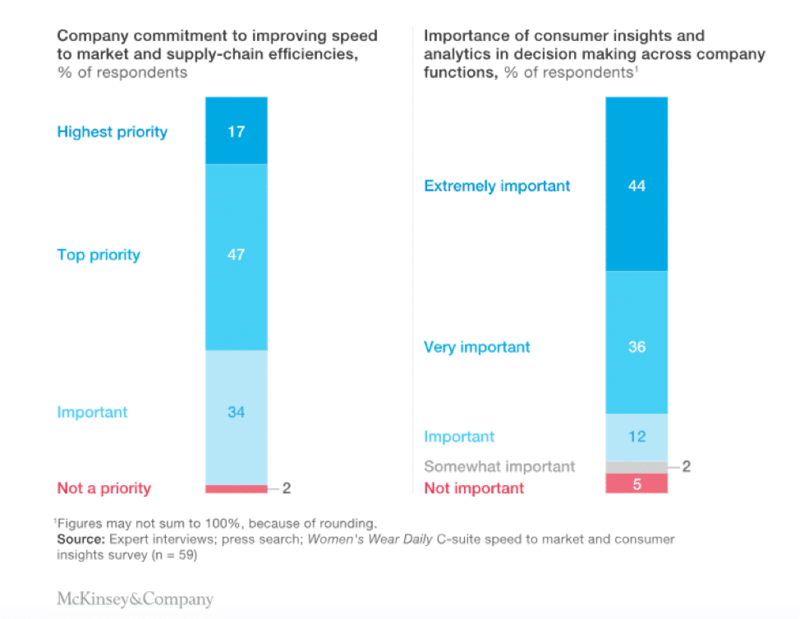 In a Mackinskey survey, Top performers make speed to market a top priority and heavily focus on improving their ability to deliver new products to the market as quickly as possible. A longer waiting time in the fashion industry is a serious risk because of constant changes in styles, seasons, trends etc. Any delay in fulfilling the current demands increases the chaos among the end consumers. As a consumer I expect a retailer to tell me how and when I can get that item and it needs to be a seamless process that makes me happy. This scenario is nearly changing with more fluctuating demands, increased globalization, overseas manufacturing, multiple suppliers etc. If the supply chain fails to deliver right on time or if items are consistently out of stock or if the product quality is not up to scratch, the brand’s name is impacted, and people will shop elsewhere with serious criticism. Preparing for the next generation technology takeover: Manufacturers and brands must not only ensure that their supply chain technology is secure from a cyber-attack or cargo security, but they must also consider security along with compliance as it relates to the health of the business. While the rise in connected technologies has enabled manufacturers to do more than ever before, it’s bringing on new and different compliance challenges. 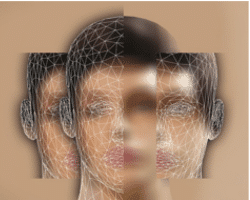 With several new technology adoptions, an increase in the connected devices and solutions within the fashion supply chain can also lead to an abundance of data, and the forthcoming compliance challenges within data management. 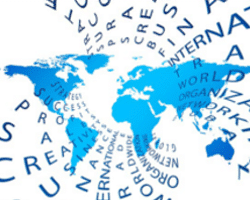 Across the globe, companies are taking action to demonstrate their brands’ integrity. For example, Levi Strauss & Co. and The World Bank Group’s International Finance Corporation pledged to reward garment suppliers for stronger labour, environment, health, security and safety performance. This initiative offers a good example of a brand maintaining transparency and compliance, ensuring long-term customer loyalty. Reliable and secure IOT enabled supply chain visibility solution can connect and extend platforms to communicate with various stakeholders within the supply chain to ensure connectivity across the supply chain while guaranteeing data security with due effectiveness allowing for each supplier to prove and maintain compliance. Ensuring reliable IoT technology set up across the fashion supply chain can assist in maintaining compliance within the end-to-end chain, adding visibility for both suppliers and customers. Predictive Analytics: Digitalization of the supply chain is the most talked topic in recent years. However, it is also considered as the third-biggest challenge fashion companies are facing, according to a McKinsey State of Fashion report. It’s also one of the most important endeavours if a fashion retail company wants to stay relevant in the business. Not moving fast enough in the fashion industry could force certain businesses to close their doors forever. Instead of staying behind, shippers and their supply chain partners must incorporate fluid, digitized supply chain automation processes that disrupt current operations and lay a foundation for the future. Real-time is too late for most of the businesses, all stakeholders need predictive analytics to let them know where delays will happen BEFORE they happen. Improving forecast accuracy, optimizing transportation performance, improving product tracking & traceability and analyzing product returns are the use cases with the greatest potential for analytics growth within the supply chain. Successfully involving in predictive analytics within supply chain operations will boost a forward-thinking company’s ability to compete in its particular niche by shortening the timeline between the runway and the market while managing the right inventory at right time. How can Arviem help to streamline your fashion supply chain? Arviem is a real-time end-to-end cargo monitoring and supply chain visibility service provider. It provides carrier independent tracking & monitoring service with exceptionally accurate location and quality condition monitoring of cargo throughout the global supply chain. Arviem offers a full service, which includes the setup of IoT enabled cargo tracking devices as well as their reverse logistics after completed shipments and provides the cloud-based software and required business rules. It then monitors, analyses and reports on all aspects of the cargo shipments and supplies the real-time data in tailored management reports or notifications. Also, with the help of real-time updates on delays and disruptions, clients can discover and mitigate supply chain problems before they affect business operations or customer satisfaction. 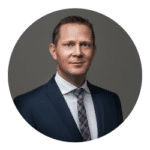 Arviem also offers additional services such as Supply Chain Financing or Carbon Footprint Monitoring helping businesses in the efficient management of strategic, operative and financial supply chains via enabling real-time data-driven decision making.